Happy Saturday, friends. 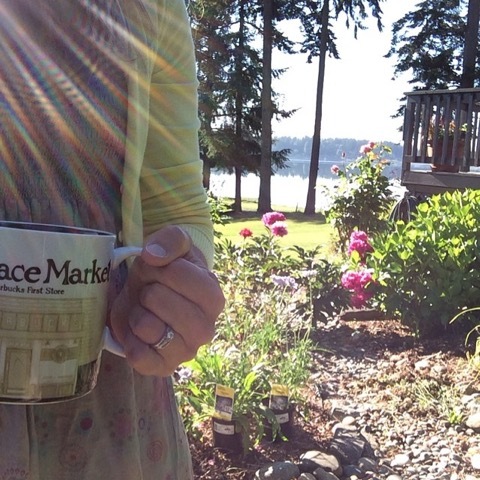 Today we’re welcoming Kelly Welk, from CiderPress Lane to NW Healthy Mama, Garden Tour Saturday. 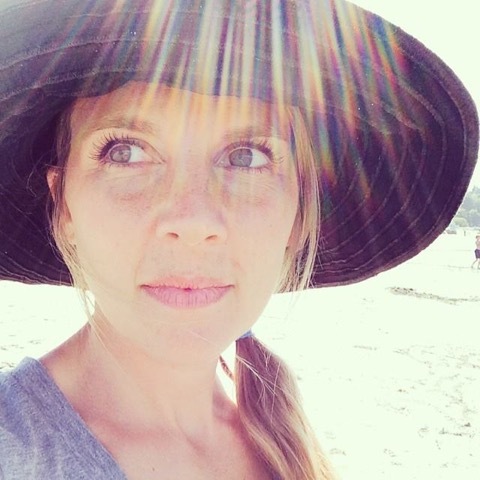 Kelly is a dreamer, adventurer, wife and mother to 3 kids. 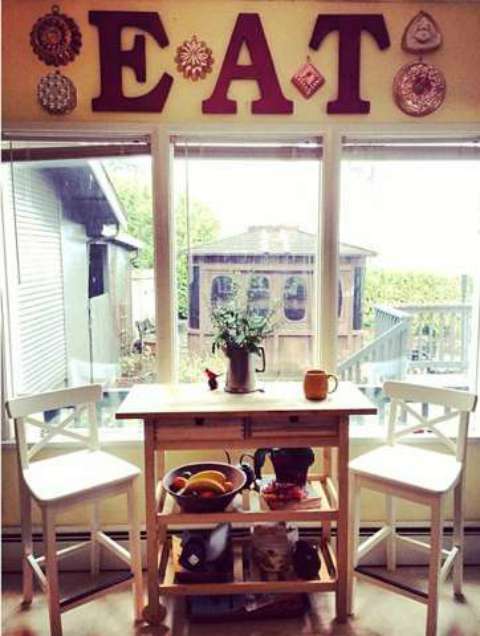 She loves creating meals for family and friends, digging in the garden, hosting events, reading, refurbishing old vintage finds, fiddling with flowers, taking photos and exploring outside. We are explorers, campers, meal cookers, gardeners, painters, carpenters, remodelers, dirt diggers, musicians, rock finders, table setters, fence menders, flower arrangers, tree trimmers, wood splitters, apple canners, plum sauce makers people just like you. 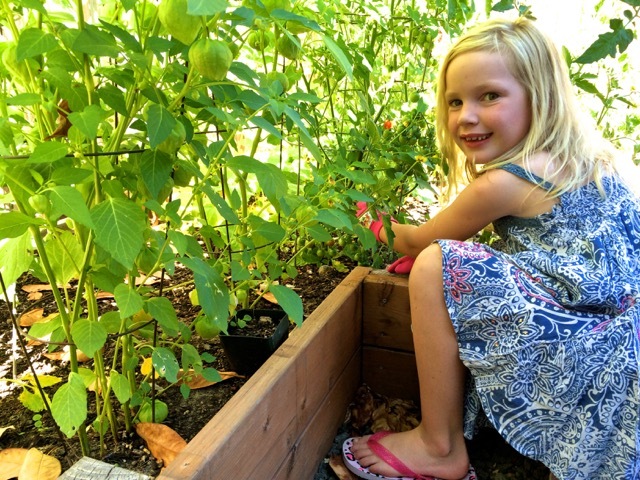 We have 3 kiddos and a life as full as our garden. 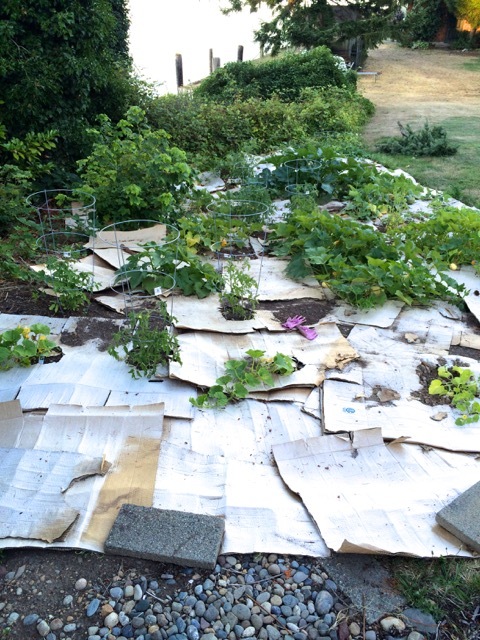 Full of flowers and weeds, fruits and veggies, unwanted blackberries and cardboard backdrops. Welcome to CiderPress Lane, our house that we decided needed a name. For years our family had been meeting up each Labor Day to press cider. 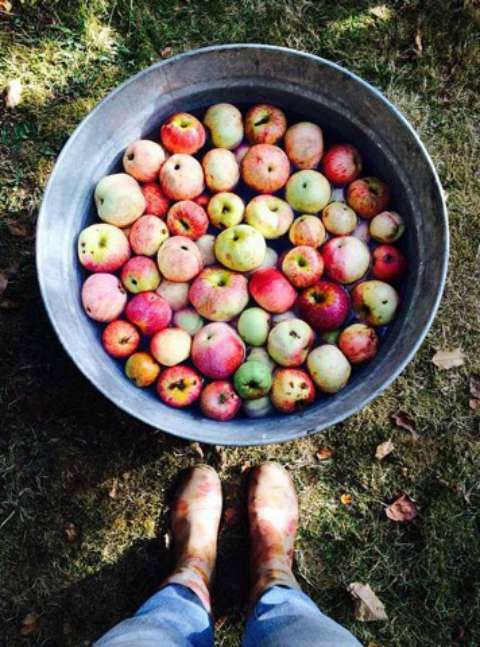 Everyone in the family would pillage from abandoned apple trees and show up with our trunks as full as possible. Aaron and I would talk about how great it would be to own a place with a fruit tree, let alone a mini orchard. 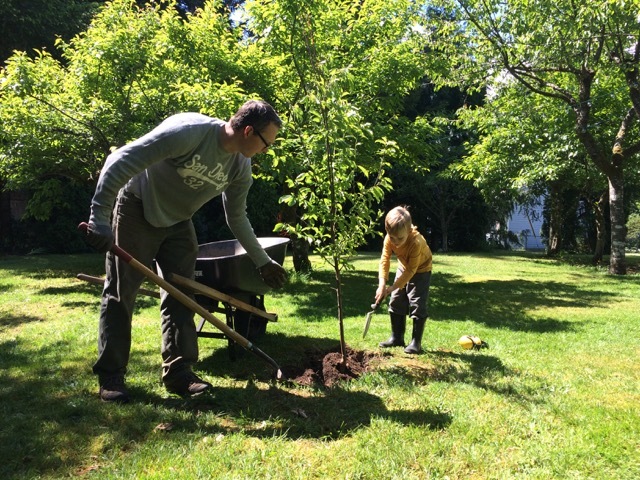 So, when we first walked around our property we knew the house needed some major work, the yard had been completely forgotten … but the orchard! There it was despite neglect producing pounds of apples and plums and even a few pears. When this house became our home we decided it needed a proper name so we christened it CiderPress Lane. So, welcome to CiderPress Lane, I’d love to show you around : first I’ll introduce you to the newest addition, the cardboard garden. 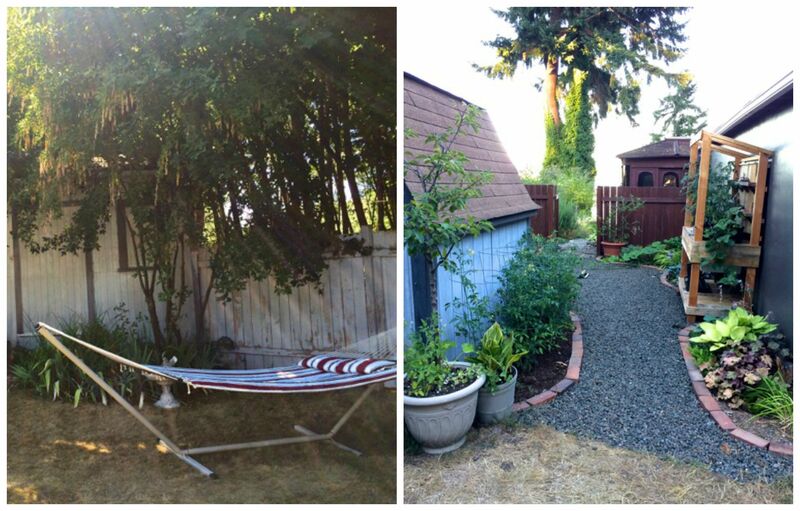 This bit of our property is what describes us, our home and lives the best…in progress. Yep, isn’t it lovely and full of pumpkins, and all with a beautiful backdrop of cardboard. Some day soon there will be wood chips covering the boxes, but honestly there’s just too much life to live and too few days of summer to live it. At dinner this week I asked our kiddos what I should share about Life on the Lane, I love what they said, it captures everything I love about our home : food, gardens and cider pressing. Our kids get us, isn’t that cool. I’m including our kids in this post because our life without them would be drastically different. I actually don’t even know what I would do to keep my days as full and busy and non stop…nothing compares to being a parent, nothing. Bella Roo, our oldest, is all about the food. 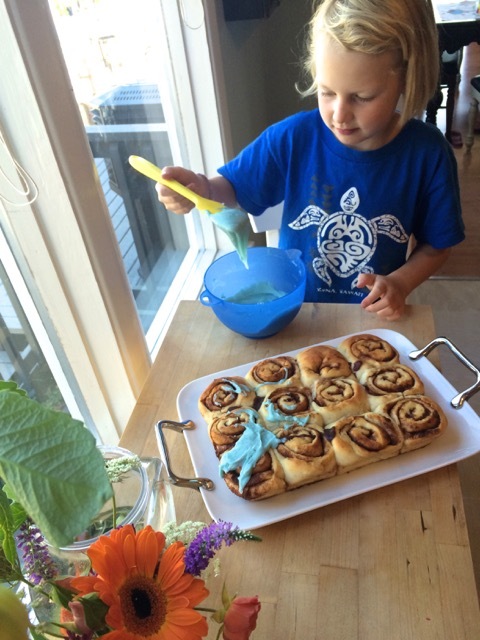 She is my biggest foodie fan, continually giving me amazing compliments, saying things like ‘you make the best food in the world.’ So, from our very clever 8 year old here is one of our favorite recipes….Bompa’s Cinnamon Rolls. My husbands dad taught me how to make these, besides the fact that they are home made and I try to use the best of ingredients…they’re cinnamon rolls so it’s a huge treat. This week we’re celebrating my husbands birthday so the kids decided the icing should be blue in honor of him. Even though it’s a whole lot easier to cook on my own, I include the kids when I can. I want them to know how to make the food we eat. We want them to understand the connection between the work we do in the garden and how that translates to real life giving plants and food. Now, of course cinnamon rolls are hardly healthy, but let me tell you what, they bring a lot of life to our family and friends. Click here for the recipe if you want to try your hand at them! And this is our Maddie Girl in a patch of our garden. Although I am a great assistant, seed planter, fertilizer giver, plant waterer, flower chooser…my husband Aaron is the mastermind behind it all. He had an incredible opportunity in college to work as a personal gardener, where he learned so much about plants, garden design, soil and so on. He is the engine that keeps the garden train moving forward and I am so thankful for it. When the winter still feels too cold, he’s already planning out what veggies we’ll be planting. We joke that he was born in the wrong era, he loves the simplicity of living in the seasons. I love wandering through the yard, cutting flowers, rosemary and fresh mint. 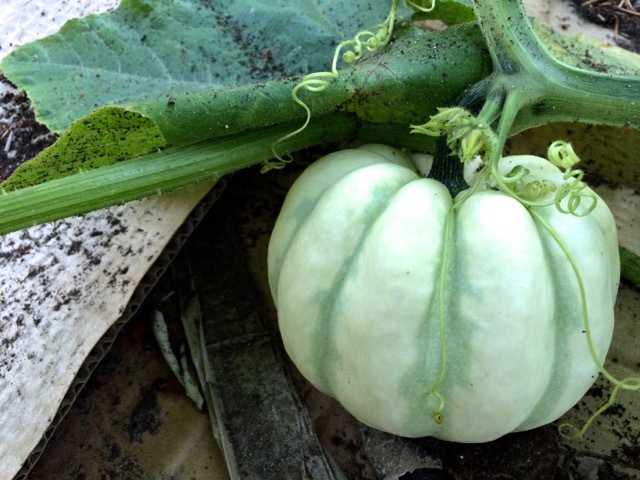 Even though I love digging in the dirt and creating a patch of beauty, I really love harvesting. I sure am glad Aaron likes planting, cause apparently I’m a consumer. And here’s our Parker Man. He is in his final summer before starting full time kindergarten. It seems a little crazy that come September all three of the kids will be hopping on the bus and heading to school together. I’m pretty sure we live in an alternate reality because the school is only 1 mile away, I personally know their bus driver and absolutely adore all of their teachers. 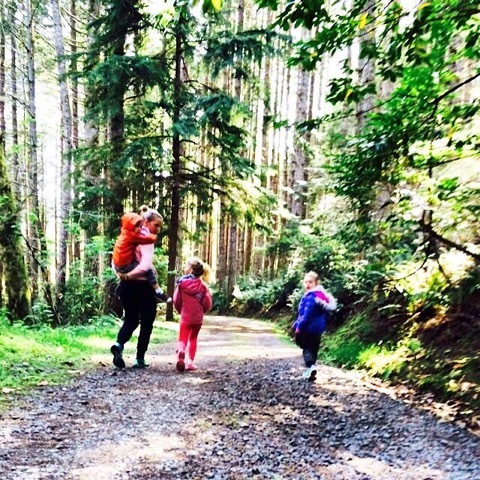 We live next to the only school in our district that offers a Montessori program and so for all of these things I pinch myself thinking that this September I will walk to the end of the Lane, kiss their sweet little heads goodbye each morning and walk back down the lane to a quiet house. Oh my goodness a new era is dawning for me : which I know is an entirely different post. Sorry about that, I started day dreaming about a quiet house…back to Parker Man. His request was to tell you about Cider Pressing. So with that I want to share our orchard with you. This is quite honestly what sold us on the property. Yes we absolutely love living on the water, our home is old and quirky and full of things I adore : extra small doorways, vintage pieces that we’ve refurbished, glass doorknobs that fall off if you pull too hard, slanted floors, and big windows that surround our living room : the gardens are getting closer to what we are dreaming of…but the orchard. It’s like a little dream land full of food. 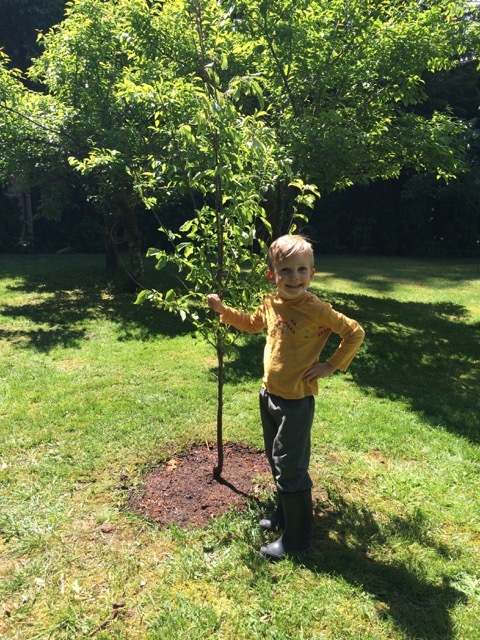 Aaron has spent a ton of time learning about trees and how to care of them. 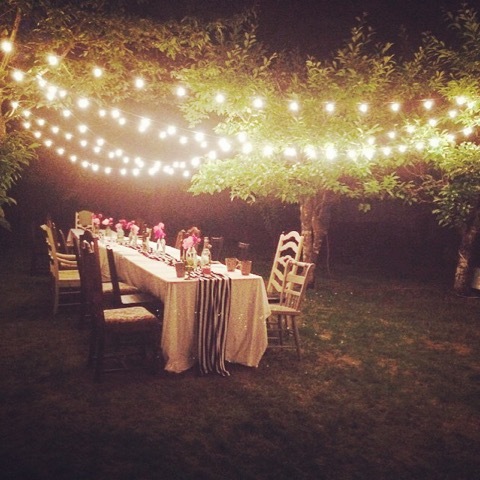 During the summers we set up huge tables, we empty the house of every chair we own and invite friends and family to join us for Dinners at CiderPress Lane. These dinners are the closest thing to my heartbeat. They’re loaded with good food, beautiful tables, incredible people and even better conversation. Even though I love the fall, it makes me so sad to see summer come to a close simply because we have to end our orchard feasts. 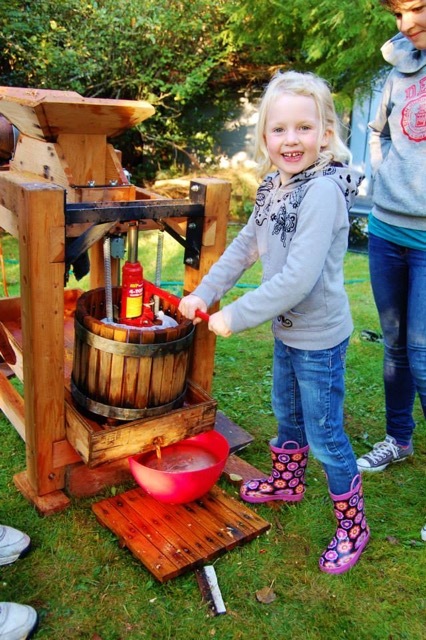 Luckily there is cider pressing which wipes the tears away and fills September and October with fun. We thankfully have a family friend who lets us borrow his incredibly nice press. The kids are old enough now that they help with washing the apples, throwing them into the chipper and then the adults swap out on the actual pressing of the apples. Once the apples are pressed we pour them thru the cheesecloth two separate times to strain out all of the apple sludge. Then you’re done! The Cider is fresh and delicious and ready to be consumed. It is incredibly hard, if not impossible, to put your life in a nutshell. I’m sitting here in my favorite spot to work on quiet summer nights thinking about all the different bits and pieces that create our life. So many things that describe us. 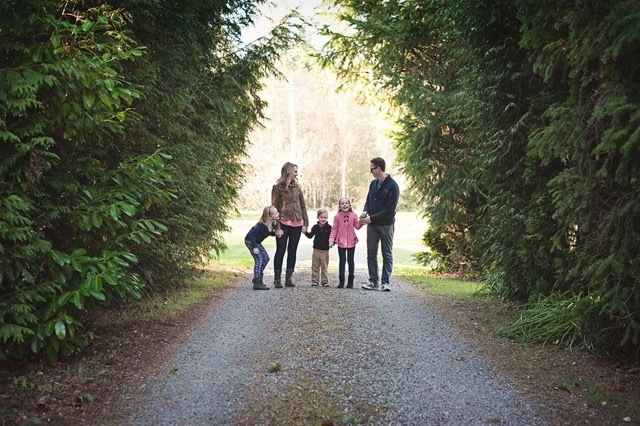 I think our kids did a pretty fantastic job naming a few of the things that define us as a family and our life on the lane. To learn more about CiderPress Lane or to schedule an event there, visit their website, Facebook page or follow Kelly on Instagram. A portion of all proceeds are donated to Rescue : Freedom International, a Seattle based organization that is fighting to end Human Trafficking. How cool is that? Just one more reason to consider them for your next event. 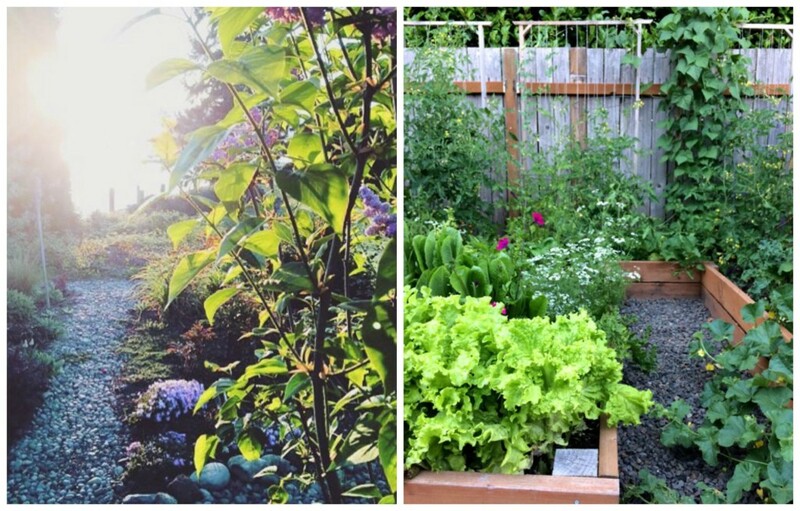 To read all of the NW Healthy Mama Garden Tours, click here. Enjoy your day! Do something you love, with those you love! What a garden! And what a VIEW!! Thanks for sharing. Your home, garden and family all sound so lovely!! 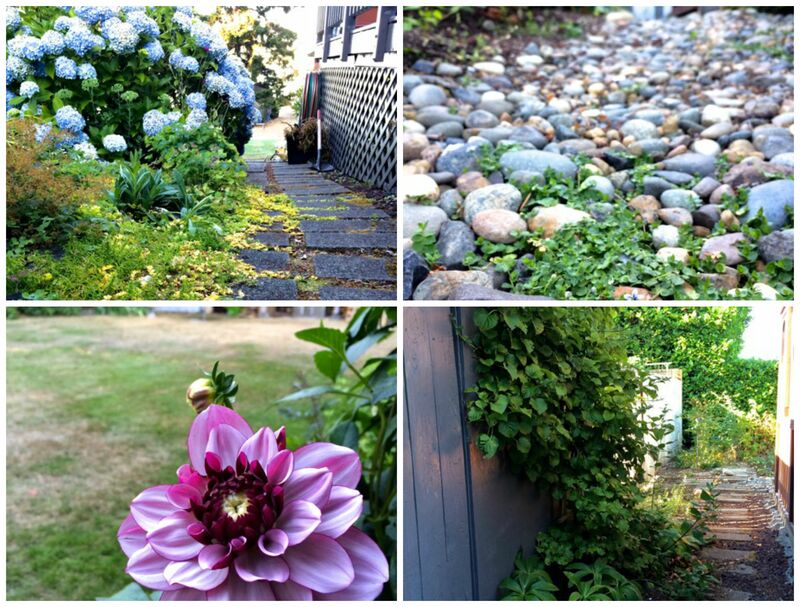 Thanks for opening your garden and your heart and sharing!